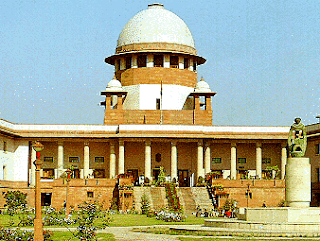 New Delhi, Dec 7 : The Supreme Court on Thursday said a proper probe is needed into various encounter killings in Manipur and suggested formation of a Special Investigating Team to probe into some of those cases, a proposition opposed by the NHRC and Centre. not normal, a bench of justices Aftab Alam and Ranjana Prakash Desai said further investigation needs to done as in some cases judicial enquiry came to conclusion that people were killed in fake encounters. "Why there should not be a proper investigation? There is more than meets the eye. So many encounters took place. Situation is not normal. We are concerned about the failure of constitutional scheme," the bench said. One of the petitioners contended that CBI can be directed to inquire into those cases but the bench said it might not be practical solution as agency would take years to complete the probe. "What would CBI do? It would take years and years to complete the probe," the bench observed. The proposition of setting up SIT was opposed by the Centre and the NHRC (National Human Rights Commissions). The Commission said it would not be possible for SIT to probe such a large number of cases. The court was hearing a public interest litigation (PIL) petition by an association of the families of the alleged victims, pleading with the apex court to set up a special investigation team and direct inquiry into around 1500 such cases. The apex court expressed surprise on how a 12-year old boy, said to be a militant, was killed in the state. "How can a 12-year old boy be a terrorist?," the bench said adding "We expect NHRC to be more effective in dealing with such cases." The counsel appearing for NHRC, however, submitted that the commission can not enforce its guidelines as it lacks penal powers. "SIT may not be a proper solution as the number of incidents are so high. What requires is a proper guidelines and its effective implementation," the commission said. The Centre, meanwhile, contended that a one-sided picture has been portrayed by the petitioner before the apex court and the situation is not so grim in the state. "Petitioner has tried to present a very gloomy picture of Manipur, as if people of the state are completely alienated. It is submitted that this is not the correct position. While the state of Manipur is facing the insurgency problem and the police and armed forces are dealing with that problem to the best of their capabilities, the common man is not generally affected by such counter-insurgency operations," it said. The government also justified the protection given to the armed forces personnel posted on duty to enable them operate with requisite thrust and drive but said it is also considering amendments in the Armed Forces Special Powers Act. "The matter was placed before the Cabinet for making a few amendments in the Act after following inter-ministerial consultation procedure prescribed therefor. It was advised to place the matter before the Cabinet Committee on Security first. The Cabinet Committee of Security did not approve the same. As suggested by the competent authority, the process of further consultation between the ministries has been undertaken and a final decision in this regard can only be taken by the Cabinet," it said. "Nevertheless, the exercise of amending the AFSPA is under consideration of the government," the Centre said in its affidavit. The association said in all, over 2000 odd extra-judicial killings have taken place in the state, but no one has been held guilty till date. It alleged innocent people with no criminal records have been killed by security forces and no proper investigation has been done in such cases. "Not only were there no criminal investigations and prosecutions of the guilty, even departmental enquiries were not conducted and no policemen or personnel of the security forces were punished departmentally for their actions. "The magisterial enquiries that took place sometimes were conducted by the executive magistrates under the cover of secrecy and most often without intimation to the eyewitnesses and the members of the families. They were conducted as an eyewash," the petition said. The apex court had earlier on July 4 agreed to hear a similar plea for probe into the alleged extra-judicial killings by the Border Security force in the West Bengal border area. In that case petitioner Bangla Manabadhikar Suraksha Mancha, a Kolkata-based NGO had alleged that there are more than 200 cases where the BSF personnel indulged in extra-judicial killings and torture in the border area and those cases were never probed by the state police. The NGO had alleged that instead of registering FIR against the BSF personnel, it is registered against the deceased and the case is closed on that basis.